If you haven’t visited part 1, please click here. Let’s continue with the example of Mr. Justin Trupou, a Canadian resident who lives in Ottawa, Ontario. He is the sole owner of a rental property in Orlando, Florida. 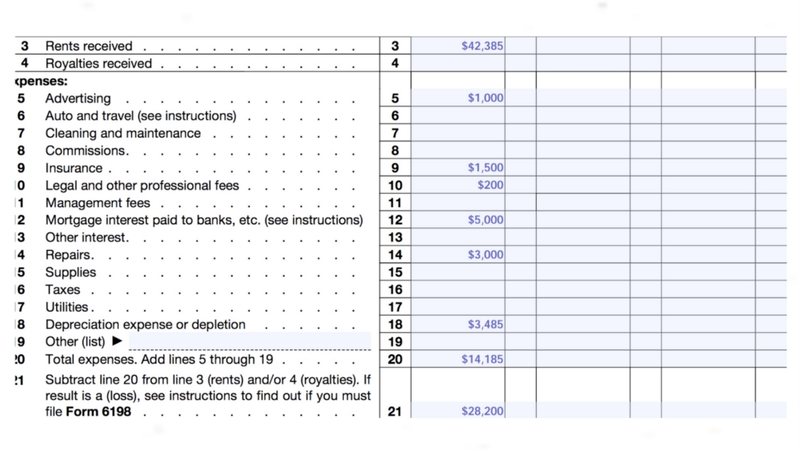 Schedule E reports the total rents collected and the rental expenses incurred in the year. Begin with entering your name and social security number at the top of the form. If you don’t have a SSN, then report your Individual Tax Identification Number. 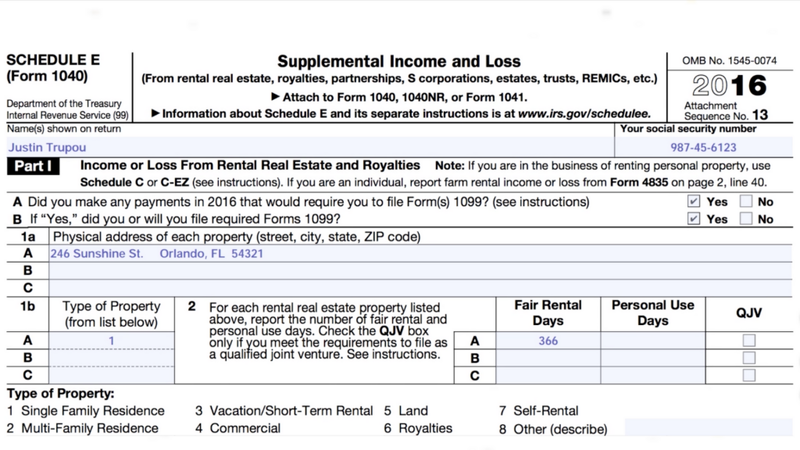 In Part 1 of the form, enter the following information for your rental property. Type of property. Choose from the list of the available options. The number of days that the property was available for rent. Whether you prepared and issued forms 1099. Check Yes or No. A separate 1099 form should be prepared for each contractor or vendor that you paid during the year, including plumbers, electricians, repairmen, property managers, etc. Next, enter in the rents collected and expenses for the year. 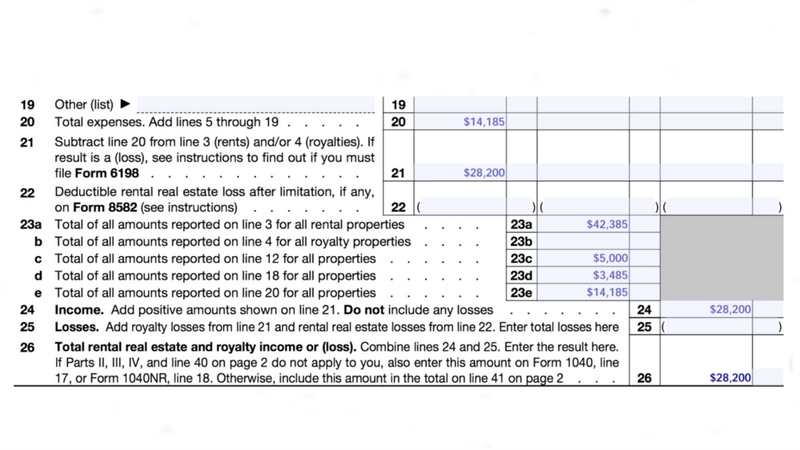 Enter the total expenses on line 20 ($14,185) and the net rental profit of $28,200 on line 21. Only the building portion, excluding land, can be depreciated. 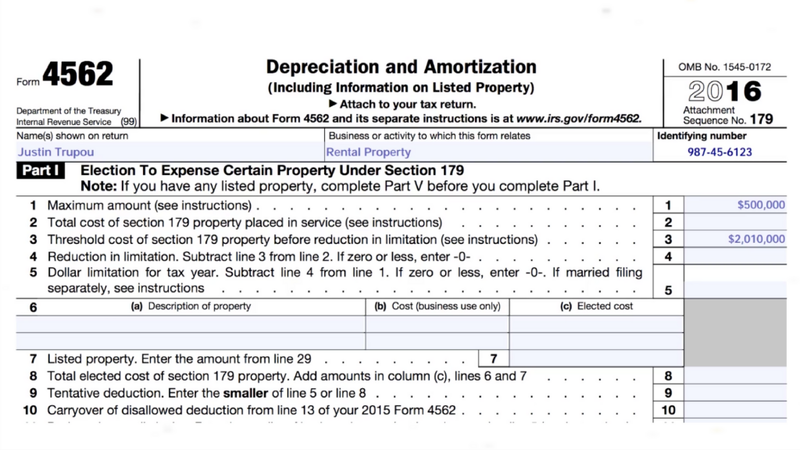 To calculate the depreciation expense, refer to Table A-6, General Depreciation System, which can be found on the IRS website. The top row represents the month during which the property was purchased, from months 1 to 12. The column represents the year during which depreciation is being claimed. Since Justin Trupou purchased the property in the 1st month of the year, and this is the first year for claiming depreciation, the applicable rate from the table is 3.485%. 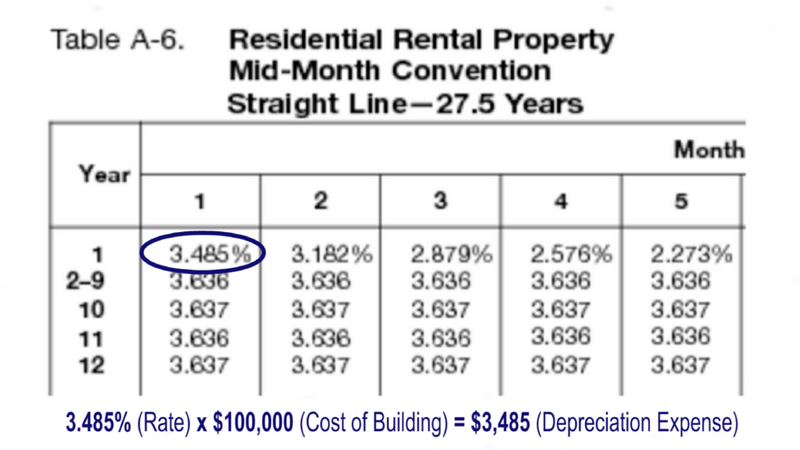 To calculate the depreciation expense, multiply the rate of 3.485% by the cost of the building for $100,000. This comes to $3,485 of depreciation. Note that residential rental properties are depreciated over a period of 27.5 years. 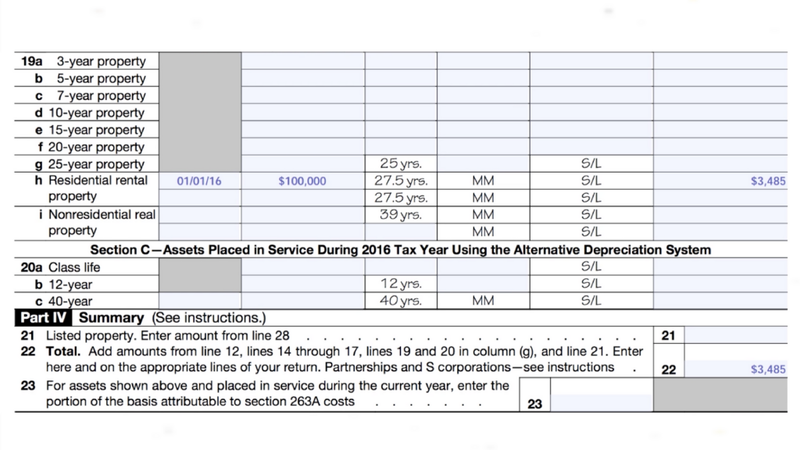 Now it’s time to complete form 4562, Depreciation and Amortization schedule. At the very top of this form enter your name, business or activity (rental property) and identifying number. The identifying number is your social security number (if you have one) or an individual taxpayer identification number. Calculating depreciation can be complex. That’s why I recommend that you purchase tax preparation software to do the calculations for you.